In a recently published Lucky Seven Interview, Open Book Toronto Chats with Lynda Monahan about her new poetry collection, Verge, which will be published by Guernica Editions in Spring 2015. Monahan talks about the thematic concerns that she tackles in the collection, and explains her writing process and methods of coping with difficult points in her projects. 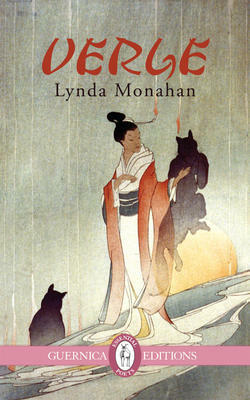 She explains that the fox, which reappears throughout the poems, is symbolic of a woman at a crossroads who learns to move past her struggles and into “life, the future and self-acceptance”. Her go to writing food consists of “black coffee and MacIntoch toffee”. A resident of Prince Albert, Saskatchewan, Lynda Monahan is the author of two collections of poetry: A Slow Dance in the Flames and What My Body Knows. She will be launching her new collection, Verge, with Guernica Editions in Spring 2015. Monahan facilitates a number of creative writing workshops and has been writer-in-residence at St. Peter’s College facilitated retreat and at Balfour Collegiate in Regina. She is writer-in-residence at the Victoria Hospital in Prince Albert. Tagged with Interview, Lucky Seven Interview, Lynda Monahan, Open Book Toronto, Verge.